They say those who can’t, teach. Well in the case of music, those who can’t make it but still want to be involved start labels instead (something I’m guilty of). One might have guessed this was the case for Mark Barrott, the man behind International Feel Recordings. At the very least, he’s let the label’s releases from the likes of DJ Harvey, Hungry Ghost, Gatto Fritto, and more speak for him these past few years. In fact, Barrott has a whole production career behind him, best known for making drum ‘n’ bass under the moniker Future Loop Foundation. Now, roughly four years after starting International Feel, Barrott reminds us he has the production chops to match his taste. 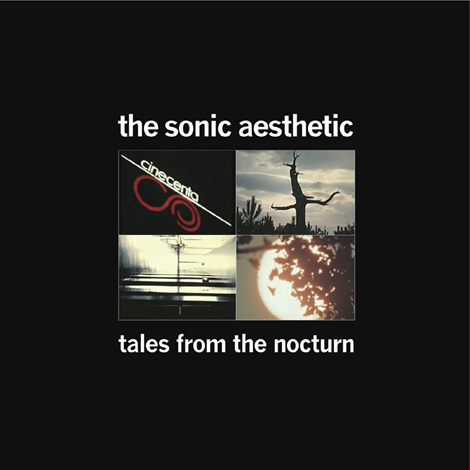 Producing under the name the Sonic Aesthetic, his style is a perfect fit for the label he founded. This is born out on “Mendicant Adventures,” the lead track on Barrott’s debut EP, which is also LWE’s download of the week. Coasting at a relaxed pace, the tune sends depth-plumbing bass through a manicured thicket of percussion. Pads whirling up from nowhere give “Mendicant” a mysterious air, aided by worming synth lines. Fans of Leonid Nevermind will feel right at home taking on this adventure. Our thanks to Mark Barrott for making this one available for free. His Tales From the Nocturn hits stores March 11th.